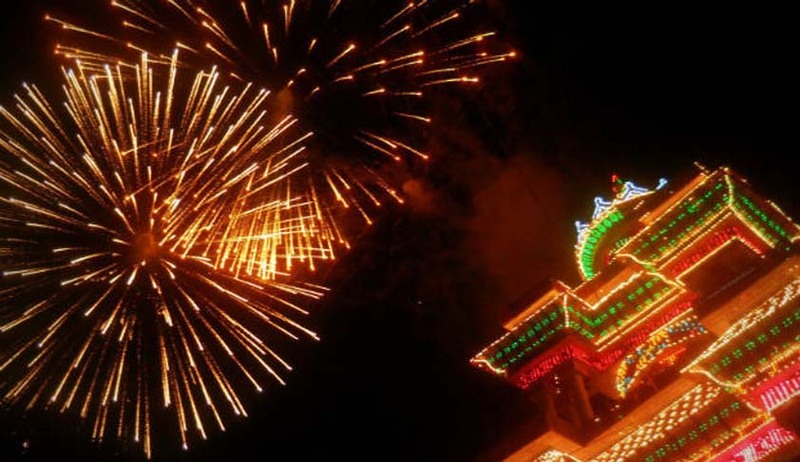 HC modifies its orders on fire crackers for Thrissur Pooram. In a huge relief for Thrissur Pooram organizers and fans, the Kerala High Court has modified the earlier orders which had called for complete ban on noise making fire crackers between sunset and sunrise. Now the Division Bench comprising of Justices Thottathil B. Radhakrishnan and Anu Sivaraman, in a hearing at 4 pm yesterday, said that authorities should ensure that no crackers above 125 decibels and no elephants which are declared unfit shall be used in connection with Thrissur Pooram. During the hearing, the Bench reportedly said that “Pooram is an Indispensable social and cultural event of Thrissur”. Two days ago, the High Court had ordered that no noise making fire crackers can be used in any place of worship between sunset and the sunrise. The Bench also said that the firecrackers used in the day time should also not be making noise more than 140 Decibels. During that hearing, the government had asked for ten days’ time to submit the affidavit as Vishu is approaching, the court then posted the matter to Vishu Day, even though it is a Court holiday.